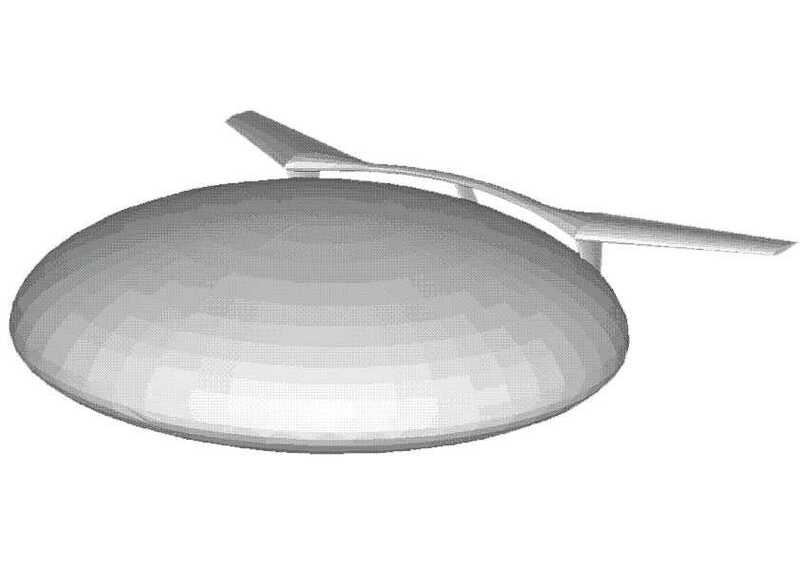 The TriLifter consists of an ellipsoid lifting body that is stabilized by a flying tail surface. 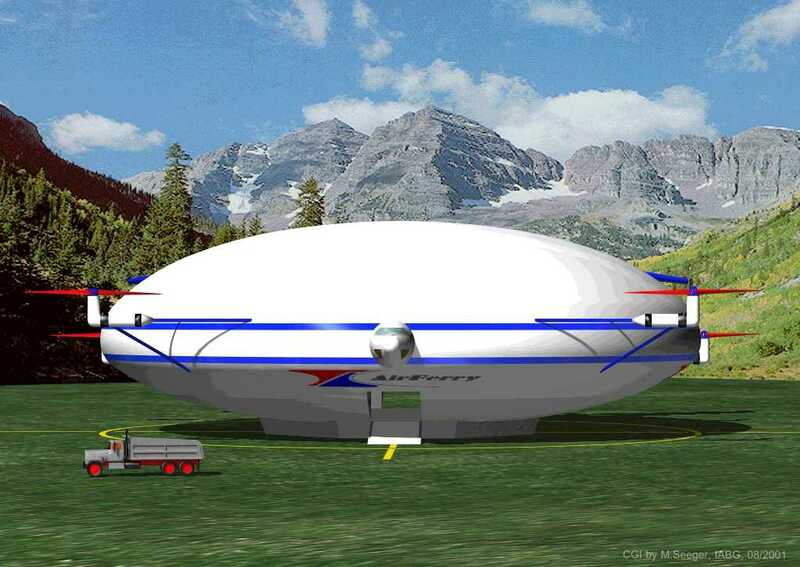 The ellipsoid houses buoyancy bladders that provide for about half of the lift required for neutral buoyancy at gross weight. 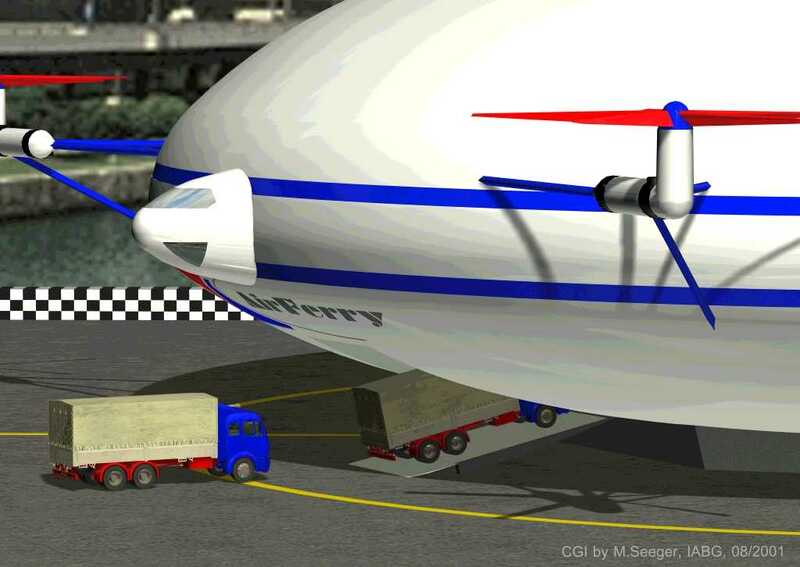 Both the aerodynamic and the heliostatic (rotor-) lift have similar orders of magnitude as the aerostatic lift, giving the air vehicle more than sufficient lift and buoyancy to operate very safely in all operating regimes and an ability to transition between required lift-combinations in quasi stationary modes. 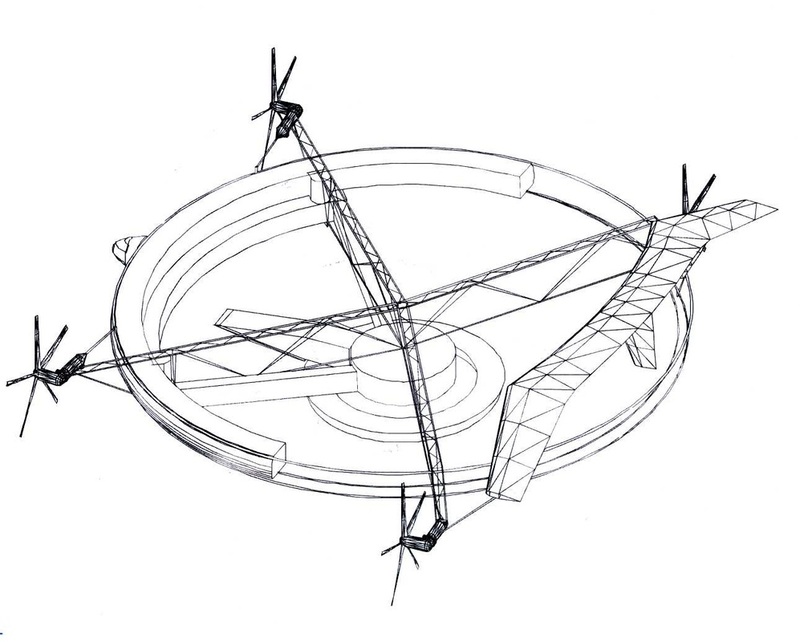 The body envelope is attached to a circular structural cage that carries the payload stresses and also bears the propulsion outriggers. Attached to these outriggers, twin-engine turboshaft engines drive proprietary prop-rotors. These patented prop-rotors are able to generate cartesian forces with extremely short reaction times without generating precession and tilting moments on the structure. This TriLifter propulsion design is key to achieving the rapid reaction thrust vectoring required to keep an aircraft of this size safe when close to the ground in gusting conditions. 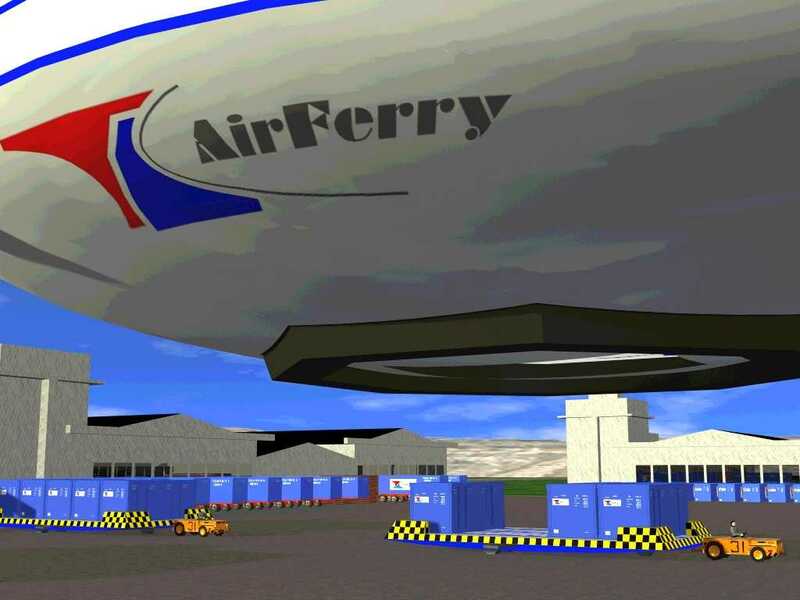 The aircraft lands on a pneumatically retractable landing cushion, which is fully integrated into the bottom air vehicle contour when retracted to complete the desired aerodynamic lower-body contour.